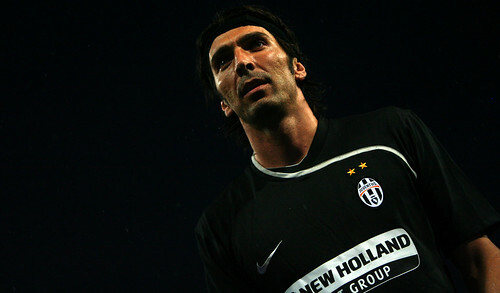 It looks like 2010 won’t be a year that Juventus’ number one keeper, Gianluigi Buffon, would like to remember as his recurring back injury has forced him not only to take an early exit at the world cup but also to miss out on the first part of the upcoming season. The Italian shot stopper, has confirmed that he most likely won’t be playing in remaining of this year because he will do a surgery to resolve his injury, the 32-years-old revealed that he won’t be back until next year. I have decided. I’ve had enough of living with this uncertainty, so I will have surgery,The operation won’t be immediately, but in 2011 I’ll be back as good as new. I might even return earlier, but I won’t kid myself. Let’s just say I am focusing on January for my comeback. I intend to take all the time I need,” He said to the press. Buffon also stated that the decision was made simply because he want to completely recover from the injury so he can play at his best again, the keeper also revealed that the decision to make the surgery was done after he had a discussion with Alessandro Nesta. The Ac Milan’s defender, also has the same problem as Gigi but managed to recover from the injury and starting playing more regularly for Milan this season. The successful recovery of the veteran defender, seems essential to convince the goalie in taking the same route to resolve his back injury. Surely Buffon’s absentees in the first part of next season’s serie A will be missed, not only by Juventus but also by most Serie A fans, however with the fact that his injury could keep recurring without the surgery it would be the best thing for Gigi to rest for the remaining of the year. Hopefully, just as his wishes, the keeper would be back in 2011, 100% fit and playing to his best again as Italy and Juventus won’t be the same without his presence behind the goal. Reports from Italy stated that the surgery would probably done sometime in July right after the meeting of Juve’s medical staffs and Buffon’s orthopedic specialist which will be done in July 5. With every possibilities looming, surely every Italian would hope the best for the Italian number one however before that one thing for sure that the year has end for Gigi and he would be looking for a better luck in 2011.